rimpido - SAP EHS/EHSM consulting - Experts for Productsafty, Dangerous goods, REACH etc. The rimpido GmbH relies on a number of qualified experts in the EH&S environment. So we can comprehensively advise you throughout EH&S environment and assist you in the implementation. Dr. Schuur holds a PhD degree in chemistry and is the managing partner of rimpido GmbH. Since 1993 he dealt with the use of databases in chemistry and since 1998 with the Chemical (Regulatory) Compliance in the checmical/pharmaceutical industry and beyond. Klaus Reinhardt is a leading expert on SAP EHS Dangerous Goods Management. Since 1999 he did countless successful Dangerous Goods projects worldwide. He offers system know-how, process know-how, plus profound regulatory knowledge. Marc Bachman joined the rimpido GmbH as CFO in 2015. He gained a strong expertise in regulatory compliance and audit during his studies. Since his first day in the rimpido GmbH he has begun to work with SAP EHS and he is currently the lead developer of the Supplier SDS recording tool. Dr. Huafang Jin holds a Ph.D. in environmental chemistry of the University of Oldenburg, Germany. Dr. Jin joined the rimpido GmbH in 2012 on a part time basis. She took part in 3 EHS projects and the development of the supplier SDS recording tool. Furthermore she works on translation of EHS data into Chinese and the collection of EHS Data. 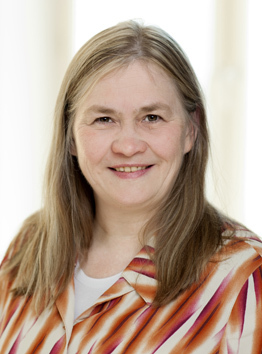 Heike Harnack joined rimpido GmbH in 2018 and works as SAP EHS Consultant and Senior ABAP Programmer. Her skills includes excellent knowledge in EHS , MM , WM , PP , CO , BAPI and SAP Basics.